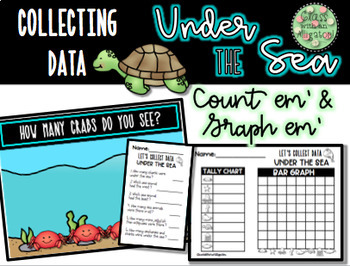 This product is intended to help students learn to collect data through the vision of an interactive field trip. Students are given a graphing sheet. A PowerPoint leads them through a series of different groups of animals found under the sea. The students create a tally chart to record the amount of animals they see on the PowerPoint. Students then use the tally chart to create a bar graph of the data. 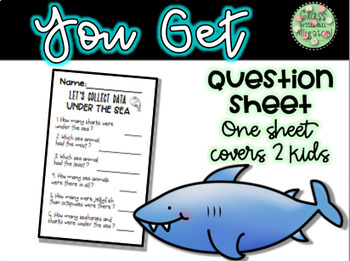 Last, students are given a half sheet assessment to check their understanding. Under The Sea PowerPoint- This PowerPoint has 9 slides. It leads students through 8 different groups of sea animals. They must count the sea animals and record the data. 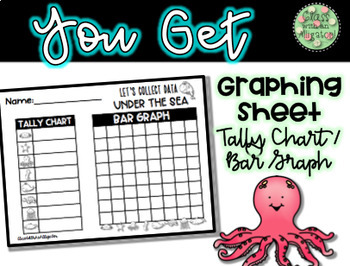 Student Graphing Sheet- This sheet includes an area for students to create a tally chart and a bar graph. Assessment- This is a half page assessment of 6 questions. It is cut in half to cover two students. Students use their graphs to answer these questions.